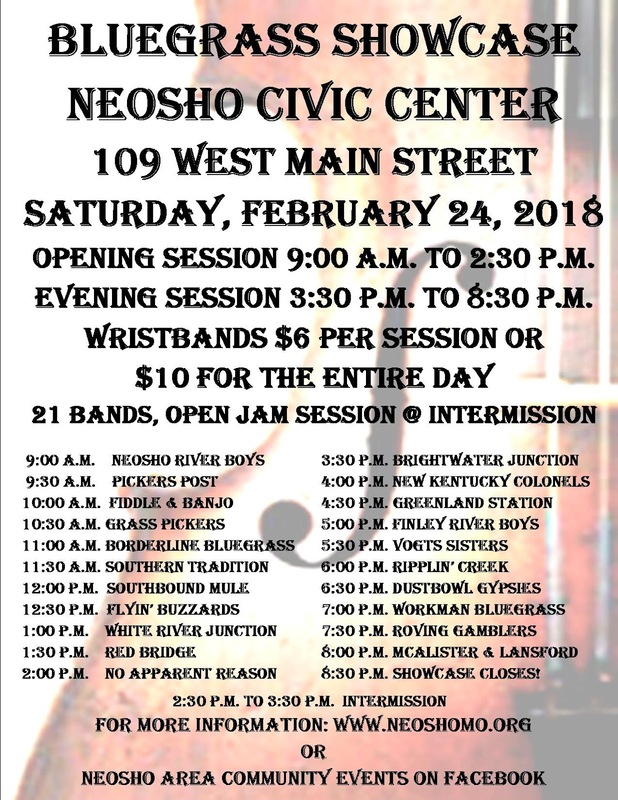 This Saturday, we'll travel to Neosho, Missouri for our first Bluegrass Showcase. This event is open to the public. 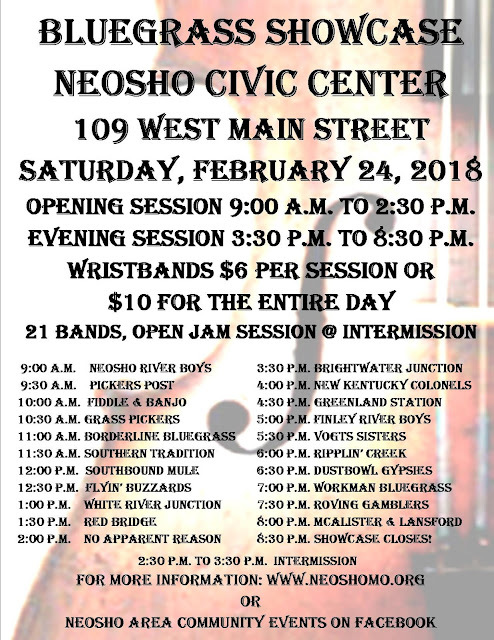 Please join us if you can!